In light of the snow storm and frigid temperatures pummelling the east coast, the very thought of slipping your feet into a pair of gladiator sandals may sound downright laughable (and frostbite-inducing). 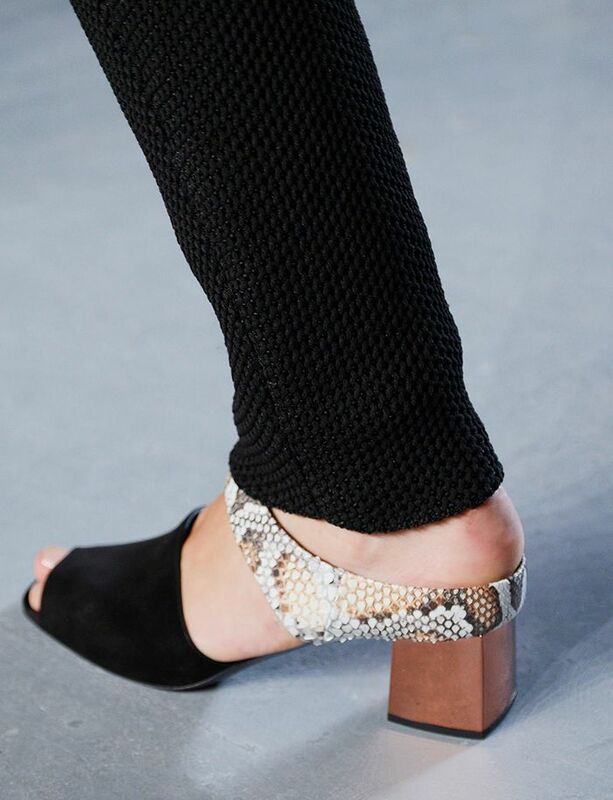 However, there's really no harm in looking toward the warmer months ahead, so today we're spotlighting eight of our favourite shoe trends from the S/S 15 runways. Click through to see which ones made our list! Would you wear any of these shoe styles? Share which ones in the comments!